The red poppy many of us pin to our coats in November was originally created to help us remember those who have fought in war. What it means, however, some of us still fight over. From minor squabbles about how and when to wear it, to more serious discussions about how it affects our thinking about war, the red remembrance poppy is much more than a flower. Here's our short guide to poppies. What it means: We wear a red poppy over any other flower because it grows wild in many fields in northern France and Belgium. This is where some of the deadliest battles of World War One took place and many men died. Poppies are tough flowers, and can grow anywhere, but are also delicate. It is thought they are a fitting emblem to remember those who died. The Royal British Legion is one of the main charities associated with Remembrance Sunday. It explains that the red poppy is an emblem of remembrance and hope. It stresses it is not "blood" red or a sign of support for war and death. Neither should it be seen as a symbol of religion or politics, the charity states on its website. When to wear it: Poppy etiquette prompts complaints every year. Some say you should wear your poppy from 31 October. Others say you should wear it in the 11 days leading up to Remembrance Day. Some believe you shouldn't wear one until after bonfire night. The Royal British Legion's Poppy Appeal was launched on Thursday 23 October this year. How to wear it: Many say on the left, symbolising that you keep those who died close to your heart. It's also where military medals are worn. Others say men should wear it on the left and women on the right, like you would a badge or brooch. The Queen however wears hers on the left. There are also many people who say that the leaf should point to 11 o'clock. 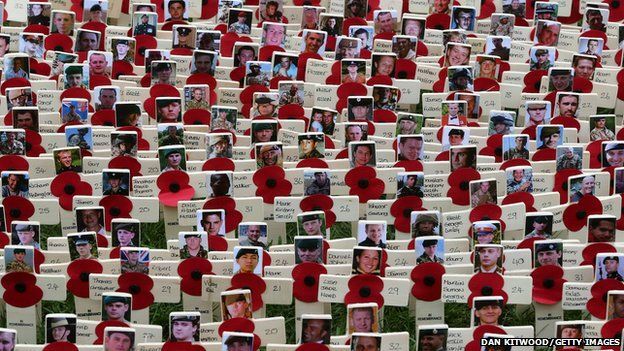 The Royal British Legion told Newsbeat: "There is no right or wrong way to wear a poppy. It is a matter of personal choice whether an individual chooses to wear a poppy and also how they choose to wear it. The best way to wear a poppy is to wear it with pride." Controversy: Some people feel that the red poppy has become political, and that MPs use the compassion of those wearing a poppy to justify war. News presenter Jon Snow famously refused to wear a poppy on air, saying viewer demands for him to wear a poppy were a kind of "poppy fascism". He said he would wear a poppy "not on the telly... but on Remembrance Sunday in concert with others". RAF veteran and activist Harry Leslie Smith is 91. He tweeted earlier this week that he wouldn't be wearing a poppy. You might have seen his face before because he spoke about the NHS at the Labour party conference. Barbara Windsor swore live on Sky News as she described how she felt about people who didn't wear the poppy earlier this month. She later apologised for her outburst. 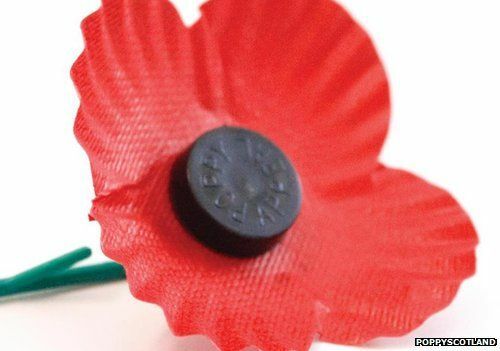 What it means: While still a symbol of remembrance that helps raise money for veterans, poppies sold in Scotland have four petals and no leaf. Why? They are produced by different organisations. While the Royal British Legion produces poppies in England, Wales and Northern Ireland, Poppyscotland produces poppies for Scotland. 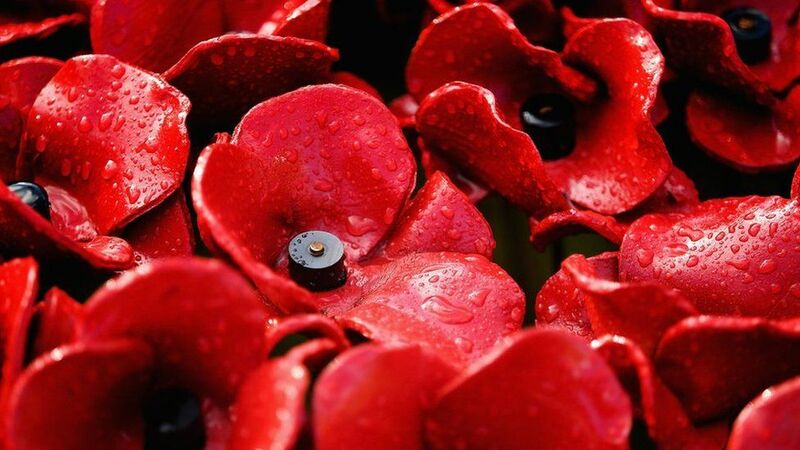 All poppies in Scotland are made by veterans with disabilities in a factory in Edinburgh. Historically these two organisations have always been independent. When poppies were first produced in London, they were so popular that there were not many left for the Scottish population. The wife of General Haig, the British commander on the Western Front for most of World War One, set up a poppy factory exclusively for Scottish people. Poppyscotland merged with The Royal British Legion group of charities in 2011, but operates independently. On the lack of leaf: Poppyscotland says on its website: "Apart from being botanically incorrect it would cost £15,000 to make leaves for all poppies - money we feel is better spent on veterans. We might be slightly biased but we think the Scottish poppy looks nicer too!" "For historical reasons, there are two poppy appeals north and south of the border and the Scottish poppy and the poppy distributed in the rest of the UK are different," the Royal British Legion and Poppyscotland told Newsbeat. 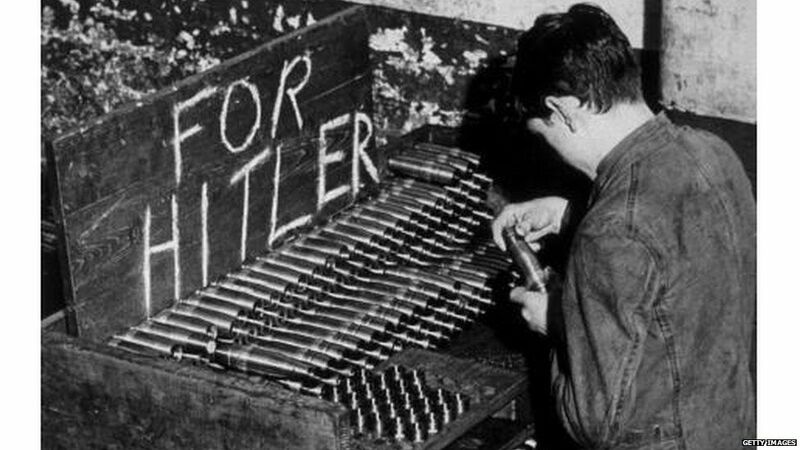 Image caption Piles of shells being produced at the Ministry of Supply factory in Northern Ireland. 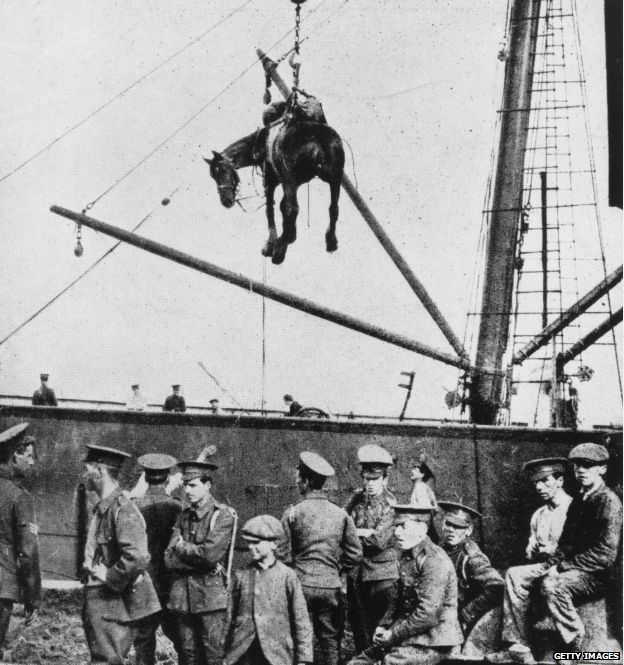 Irish soldiers fought and died in the world wars. The Royal British Legion holds a Poppy Appeal both in Northern Ireland and the Republic of Ireland. However recent history means the Poppy is a lot more controversial in these countries. A period known as The Troubles began in the late 1960s and lasted for nearly 30 years. It involved fighting between those who wanted to break away from the UK and those who wanted to stay loyal to the Queen. During The Troubles more than 3000 people died. British troops deployed to Northern Ireland soon became involved in running street battles and fierce fighting with anti-British paramilitary groups. People on both sides were killed by bombs and bullets. One of the blackest days in the Troubles saw the pro-Irish militant group, the IRA, bombing a Remembrance Day ceremony in Enniskillen, when 11 people were killed and more than 60 injured. 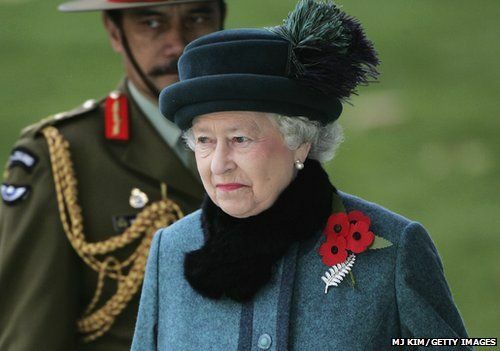 What it means: The Poppy is a symbol of remembrance for those who have died in conflict. However all funds from selling poppies go to The Royal British Legion, which helps members of the Royal Navy, British Army, Royal Air Force, Reservists, veterans and their families. It's been associated with Britishness in both Northern Ireland and the Republic of Ireland. This association is divisive. The Royal British Legion told Newsbeat: "The red poppy is a universal symbol of Remembrance and hope, including hope for a positive future and peaceful world, it is inclusive of all who wish to wear it, is non-political and does not depict support for war. "We take the view that the poppy represents sacrifices made in the defence of freedom; and so the decision to wear it must be a matter of personal choice and we would never insist upon it." 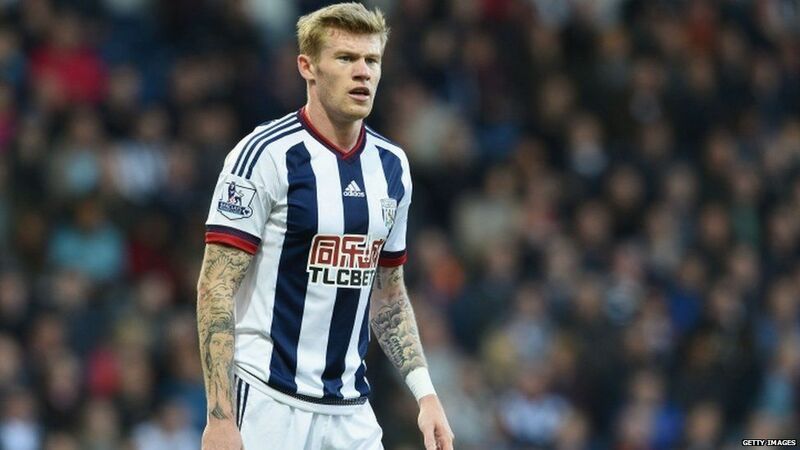 Controversy: Footballer James McClean, who is from Derry in Northern Ireland, said he will not wear a poppy on his West Brom shirt to commemorate Remembrance Day. He's received death threats for refusing to wear it in the past. In an interview with the official West Brom match day programme, he said: "If the poppy was simply about World War One and Two victims alone, I'd wear it without a problem. "I would wear it every day of the year if that was the thing but it doesn't, it stands for all the conflicts that Britain has been involved in. 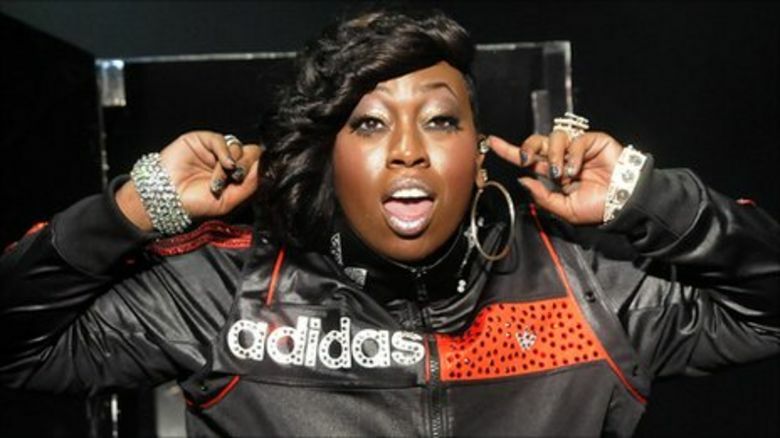 Because of the history where I come from in Derry, I cannot wear something that represents that." Meanwhile, MMA fighter Conor McGregor, from Dublin in the Republic of Ireland, came under fire for wearing a poppy pin. He wrote on Facebook: "I know where my allegiance lies and what I do for my country. I don't need a stupid little flower with a 100 different meanings to tell me if I do or do not represent my country. Check the facts of its original meaning. ALL soldiers. ALL wars." 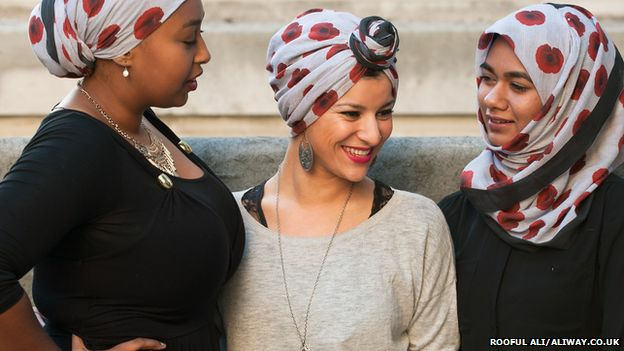 What it means: Student Tabinda-Kauser Ishaq, 24, designed the poppy hijab to appeal to the many British Muslims who mark Remembrance Sunday. She also wanted to raise awareness of the 400,000 Muslim soldiers and 1.2 million Indian soldiers who fought alongside British troops in World War One. Sughra Ahmed, president of the Islamic Society of Britain. said that the poppy hijab was a way "for ordinary Muslim citizens to take some attention away from extremists who seem to grab the headlines." How to wear it: Models were pictured wearing these styles in pictures promoting the poppy hijab. The Islamic Society of Britain and integration think tank British Future, are selling the scarf for £22 with all proceeds to the Poppy Appeal. Controversy: It's been accused of perpetuating Islamophobia, suggesting Muslim women need to "prove" their allegiance to Britain. However Sughra Ahmed, president of the Islamic Society of Britain, said: "I think one principle should be clear: everybody should make their own choice. There are no loyalty tests here. But I do find it a shame that many people are surprised to hear that many British Muslims take part in Remembrance today." What it means: Like the red poppy, it is designed to help remember those who have died in conflict, while emphasising a lasting commitment to peace. It was first introduced by the Women's Co-operative Guild in 1933 and is now sold by the Peace Pledge Union. Their motto is: "War is a crime against humanity. I renounce war, and am therefore determined not to support any kind of war. I am also determined to work for the removal of all causes of war." How to wear it: Either on its own or alongside a red poppy. Jenny Jones, the former deputy mayor of London, tweeted a picture of her wearing a red and white poppy. She is currently a London Assembly member. Controversy: In the 1930s, some women lost their jobs for wearing a white poppy, on the basis that their campaign undermined those who had died in service. Controversy over the white poppy began again in the 1980s after Margaret Thatcher criticised it. However, the Royal British Legion says on its website: "We have no objection to white poppies, or any group expressing their views. We see no conflict in wearing the red poppy alongside the white poppy. We do ask that the items are not offered alongside each other however as this would confuse the public. " What it means: This poppy was created in 2006 to remember the animal victims of war. All donations go to the charity Animal Aid, who say of their appeal: "During human conflicts, animals have been used as messengers, for detection, scouting and rescue, as beasts of burden and on the frontline. "Please wear a purple poppy and help us to raise awareness of these forgotten victims." 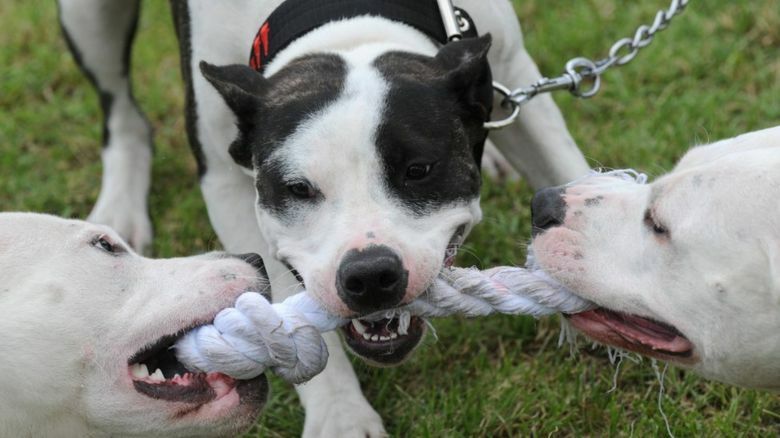 A spokesperson for Animal Aid told Newsbeat: "Animals are not heroes, they are victims. They do not give their lives, they are taken." How to wear it: Alongside your purple, white and/or red poppy. The controversy: This is a relatively new poppy, first conceived in 2006. The Royal British Legion says of the purple poppy: "While organisations use Remembrance to draw attention to their causes through poppies of many colours, the Legion is the only organisation which acts as the national custodian of Remembrance. We are also the welfare and campaigning organisation representing all men and women who are in service, who have served, and their families. "We see no conflict in wearing the red poppy next to the purple or white poppy. Many animal rights supporters also support our work. We do ask that the items are not offered alongside each other however as this would confuse the public."